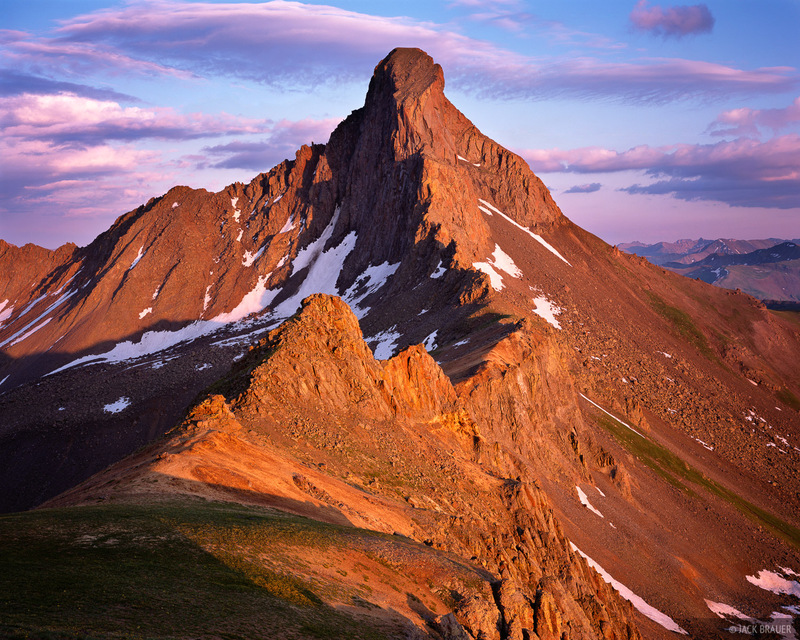 The rugged Wetterhorn Peak, 14,015 feet tall, soaks in the last sunlight of the day. Uncompahgre Wilderness, July. Photo © copyright by Jack Brauer.